There is a lot of competition out there for aluminum truss and many different types of truss. This can make it difficult to understand which type is best. Sometimes it’s easy to base purchasing decisions on price alone, which can lead buyers in the wrong direction and ultimately cause buyer’s remorse. We thought it would be helpful to our readers to share an answer to the question we most frequently receive: What makes Milos truss better than the less expensive alternatives? Milos offers a lifetime warranty on their products and it is backed with a stellar, long standing reputation. 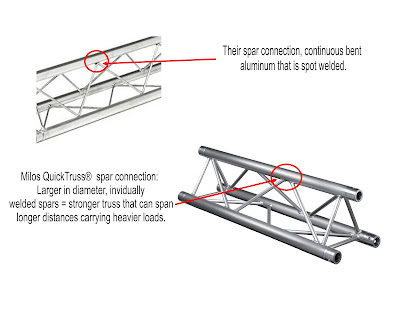 Also it's the way it's made versus some of the slightly cheaper aluminum truss being sold as this picture illustrates showing an 8.5" truss and our 8.75" Triangular Milos QuickTruss®. 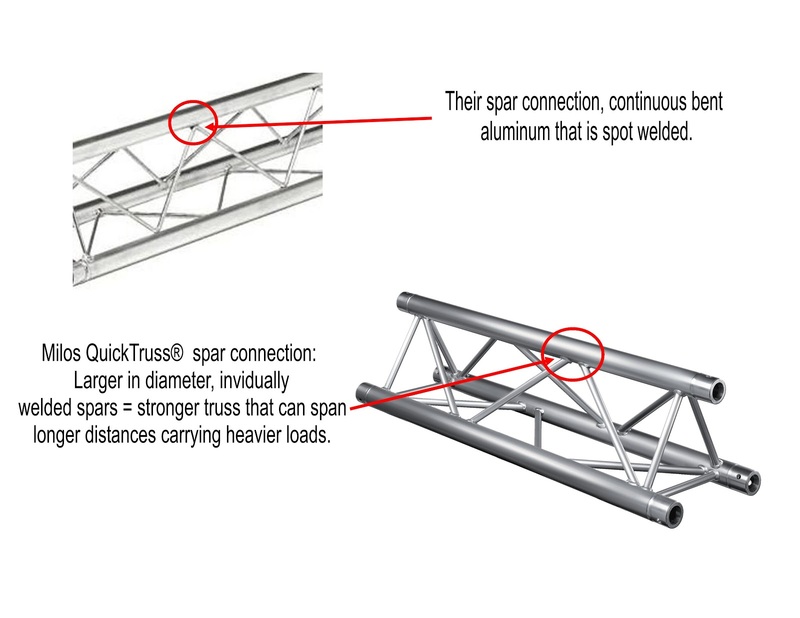 As the picture illustrates, QuickTruss offers a stronger, higher quality construction that is unmatched by its competitors. DisplaysExhibits.com is an exclusive Milos distributor and as such can offer steep discounts off QuickTruss®. Call us at 888-804-0042 to receive your discounted quote or simply email us at sales@DisplaysExhibits.com.